In our previous blogs on Doyen’s TPO deals we decided to focus only on specific deals, Twente and Sporting Lisbon, or a specific country (Spain). However, nearly six months after the whole footballleaks project started, we can now provide a more comprehensive analysis of the TPO deals signed by Doyen. Though, it is still possible that other, yet unknown, deals would be revealed, I believe that few of Doyen’s TPO agreements are still hidden. Thanks to footballleaks, we now know how Doyen operates, we have a precise idea of its turnover, its return on investments and the pool of clubs with which it signed a TPO agreement. Moreover, we have a good understanding of the contractual structure used by Doyen in those deals. This blog will offer a brief synthesis and analysis of this data. If you trust the veracity of Doyen’s map of deals, Doyen had signed 31 TPO deals before March 2015, of which many ERPAs are published on the footballleaks website. It started operating in August 2011, with a deal involving Abdellaziz Barrada, which was then a player at Getafe and is now playing at Olympique de Marseille. Until the end of 2013, and the signing of the controversial deal with FC Twente, Doyen was only operating in the Iberian Peninsula (with the exception of an isolated contract involving Felipe Anderson from the Brazilian club Santos in September 2011). The clubs involved were Sporting Gijón, Atlético Madrid, FC Porto, Sporting Lisbon, Getafe, Sevilla FC, Benfica, and Valencia. Those deals concerned a wide range of players, from the highly profitable stars Falcao, Mangala or Rojo to a series of unknown players. Based on the aforementioned ‘map of deals’, Doyen has extracted substantial profit margins from those deals. The maximum of 524% profit being reached on Kondogbia’s transfer from Sevilla to Monaco (Doyen invested €1.5 million and recouped €9.358.653 one year later!). What drove Spanish and Portuguese clubs into the arms of Doyen? The first openly acknowledged reason for TPO deals is enshrined in many of the ERPAs signed during this first phase of Doyen’s operation: it’s the financial crisis, stupid! Spain and Portugal were directly affected by the crisis. Their financial systems broke down as well as their public finances. At once many Spanish and Portuguese clubs (like most of the local businesses) must have been cut off from their usual credit lines and unable to rely on the traditional patronage of local authorities. In 2012, the outstanding debt of Spanish football clubs with the public authorities was restructured. A recent economic study shows the depth of the financial difficulties faced by a majority of the Spanish clubs in the BBVA League at that time. Barcelona and Madrid are the two lone trees that are hiding a very poor forest. This is a fertile ground for risk-averse investors like Doyen to supplement traditional lenders. As far as the three Portuguese top clubs (Benfica, Sporting Lisbon and FC Porto) are concerned a different dynamic might be at play. Indeed, they have a (quasi) secured spot in the most prestigious European club competition, the UEFA Champions League. There is obviously no better competition to feature the qualities of a player and boost his market value. Their collaboration with Doyen is, thus, less risky than for mid-level Spanish clubs (Getafe, Gijón, Sevilla or Valencia), which were unlikely (or at best uncertain) of ever participating in the Champions League. In 2014 and 2015, this Iberian bias progressively faded. Doyen entered in new deals only with Granada (Luis Martins), FC Porto (Brahimi) and Cadiz FC (multiplayers). As FIFA announced its decision to ban TPO in September 2014, this might have cooled off the interest of the most prominent Spanish and Portuguese clubs. It is also possible that since the Eurozone crisis came to a slow end and the European central bank flooded the financial markets with cheap money, football clubs progressively recovered access to more traditional (and less risky) sources of credit. This disaffection of its traditional market has probably incentivized Doyen to internationalize its investments beyond its Iberian basis, starting with the infamous multiplayer deal with FC Twente in December 2013. Since August 2013 and a first TPO deal with a Mexican investment company, Twente’s management seems to have been desperately looking for cash to finance its unlimited ambitions. The fire sale of Twente’s key players to Doyen was probably urgently needed to cover the club’s short-term deficits. In practice, some of the players concerned (Tadic and Promes) were sold only six months after the deal. Doyen made a huge profit out of those sales, reaching 300% for Promes’ transfer. In that case Doyen’s intervention was triggered by the financial despair of an overambitious mid-level club, with an insufficiently solid source of stable revenues to support its activity on the transfer market. Doyen was no white knight. It is an investment fund, not a charity! The group was interested in the worthy assets of Twente and bought them at cheap value. This was probably the most destructive intervention of Doyen, as it was not aimed at supporting the recruitment of a specific player but at temporarily propping up the finances of a bankrupt club in return for its only solvable assets. In 2014 and 2015, Doyen decided also to heavily invest in the South American market. It made a number of deals (11) involving mostly Brazilian players (from Santos FC, Sao Paulo, Atletico Paranense and Flamengo) and also two Columbians (from Deportivo Estudiantil). Those deals are for the most part still on-going. They are also probably riskier for Doyen than the European deals because of the limited guarantees that South American clubs can provide. The Leandro Damiao case is there to remind us that those deals are in any case risky for the clubs. Damiao was a great prospect when he was transferred for €15 million to Santos in December 2013. Based on the map of deals Doyen loaned €12 million to Santos in return for 80% of the economic rights attached to him. Yet, after three years, Damiao’s contract was rescinded in December 2015 and he moved on a free transfer to Betis Seville, leaving Santos with an €18 million debt to pay to Doyen (which was recently upheld by the Brazilian justice). This is a good reminder that TPO, on whichever continent, is everything but risk-free for clubs. The sweet feeling of short-term cash might very well turn into the (very) sour taste of long-term debt. Finally, in 2015 Doyen entered into a surprising deal with an unknown Belgian club: Seraing United (or RFC Seraing). The relatively small deal (€300.000) concerns three of Seraing’s players. It is definitely an unusual investment for Doyen with very little potential to extract substantial profit. One hypothesis is that this contract is used as a legal Trojan horse to support Doyen’s legal challenge against FIFA’s TPO ban in front of Belgian courts. Indeed, Doyen has hired (for €200.000 in 2015 as indicated in the ‘map of deals’) star lawyer Jean-Louis Dupont, who was Jean-Marc Bosman’s lawyer in the eponym case, to entertain complaints in front of the European Commission and simultaneously the Belgian courts against FIFA’s TPO ban. In that regard, it has successfully used the sanctions imposed by the URBSFA (the Belgium Football Federation) and FIFA against Seraing to justify the jurisdiction of the Belgian courts over the case (see our blog on the latest ruling in this case). Doyen’s TPO investment in Seraing has probably more to do with a smart legal stratagem than a long-term investment. Doyen’s contractual system has been relatively stable since it started operating. The principle is always the same: Doyen provides a lump sum (for various purposes, often the recruitment of the player) and gets a percentage of the economic rights attached to a player in return. However, what it does not do, and that is decisive in making it a rewarding business model, is share with the club the risk that the player fails to become a star or that the player leaves on a free transfer at the end of his contract. For the latter scenarios, Doyen quickly developed a bulletproof contractual system structured around a number of contractual clauses limiting its exposure. Be it named ‘Free Agency Fee’ or ‘Put Option’, the idea is that if a profitable transfer of the player fails, Doyen will secure a minimum return on its investment (often the original grant plus 10% of interests each year). This minimum return on investment is usually secured with a ‘hard’ warrantee, a pledge on a share of fixed revenue. This ‘deed of pledge’ (as it was called in Twente’s case) is often attached to the future revenues derived from the broadcasting rights to which the club is entitled as a member of a professional league or its future ticketing proceeds. It is this secured minimum return on investment that makes it a low risk economic endeavour for Doyen. Basically, Doyen’s only risk is that a club would go bankrupt and disappears, but football clubs are a bit like systemic banks, they are too popular to fail and have the tendency to be rescued by public authorities when they face deep financial trouble. Doyen’s TPO system also guarantees that in case a player is successful, a club will be forced to transfer him if a ‘Reasonable Transfer Offer’ is made. The ‘Reasonable Transfer Offer’ is defined as a minimum amount. If an offer matches or exceeds this amount, Doyen can force the club into choosing either to sell the player or to buy back Doyen’s share for a price equivalent to Doyen’s share of the transfer proceeds if the player would have been transferred. This is a mechanism that ensures that clubs will not be able to keep an outstanding player and pay the minimum fee due at the end of his contract (or the put option fee), rather than sell the player for a more substantial amount. As the clubs having recourse to Doyen are, as it is argued in its own submissions to the French and Belgian courts, unable to afford recruiting these players in the first place, they are more than unlikely to be able to buy back the share of the economic rights owned by Doyen when their price has tripled or quadrupled. The alternative is simple: sell or go bankrupt. Until now few clubs have chosen the latter option. The mechanism of the ‘Reasonable Transfer Offer’ is in itself aimed at influencing the transfer policy of the clubs signing a TPO deal with Doyen. They have their hands doubly tied: if the player fails to materialize as a star they will have to repay at least Doyen’s investment plus healthy interests; if he does become a star they will lose him as soon as the right transfer offer comes. And Doyen’s TPO contracts ensure that the right transfer offer will come. In many of the ERPAs published by footballleaks one will find a provision indicating that Doyen has the right to act as an agent to promote the transfer of the player of which it owns a share of the economic right. Doyen, which has intimate knowledge of the key legal conditions enshrined in the ERPA, is in a position to market the players to new clubs and force a transfer by disclosing (informally) the level of the ‘Minimum Transfer Offer’. The potential for conflicts of interests between Doyen acting as an investor and owner of a share of the economic rights attached to a player and Doyen acting as mandated agent to promote the transfer of the same player is obviously high. Nelio Lucas, who was and still is active as an agent, impersonates these ties between Doyen and the shady world of agents. His personal contacts in the milieu are well-known and have been instrumental to the success of his enterprise. Doyen’s unhindered double game as an agent and an investor is one of the reasons why TPO needs at least to be strictly regulated or even banned. When engaging in TPO deals, financially distressed clubs are basically handing over to Doyen the management of parts of their squad. Indirectly the player’s freedom is also impaired. Who can doubt that a club will be able to incentivize his player to leave if it needs him to do so due to Doyen’s financial Sword of Damocles pending over its head. Doyen’s business model is smart and has to be acknowledged as a cynical embrace of the intrinsic logic of FIFA’s transfer system. It plays on each club’s natural drive for grandeur and the propensity of the clubs’ management to throw caution to the wind to get there at least once. Doyen’s head, Nelio Lucas, is no criminal. There is no indication that he engages in match fixing or money laundering. He is a dead-set investor hunting for the grail: secure financial returns on investments. And he (with many others) has found a way to play the transfer system to his advantage and to game irrational clubs and managers. This does not imply that this business model should go on, however. Instead, it must be acknowledged that this extreme form of ‘financiarisation’ of football brings with it important risks for clubs. Not only football fans are sometimes (often) irrational, more dramatically the management of clubs are often acting irrationally when they take on huge financial risks to achieve short term sporting success. It must also be acknowledged that public authorities have the tendency, for right or for wrong, to bail out football clubs when they face financial troubles. Thus, in turn, raising the potential of moral hazard and free riding from the part of reckless investors. Finally, it is clear that the transfer market due to its intrinsic transnational structure and the role played by inter-subjective networks is prone to conflicts of interests, which are heightened when the ownership of the economic rights attached to a player are distributed in an opaque fashion amongst a set of different actors. The problem must be understood as structural. New legal mechanisms must be devised to avoid that the transfer system is abused for the purpose of speculation and to ensure that clubs are not incentivized to have recourse to creative financing to achieve competitive balance. All this calls for strong regulatory intervention. But, can FIFA truly regulate a complex set of transactions that span a variety of jurisdictions? Personally, I doubt it. It needs to simplify the market to better control it. The TPO ban is a form of simplification. Another option would be to use FIFPro’s current complaint against the FIFA transfer system in front of the EU Commission to reinvent the transfer system and put a negotiated end to the artificial commodification of football players’ contracts. In any event, we would not have been able to discuss all of this without footballleaks. In a complex world where markets ignore borders and economic actors operate from opaque jurisdictions, exceptional actions are needed to supervise those transactions and ensure that the visible hand of the general interest supports the (sometimes truly) invisible hand of the market. This document is susceptible to being easily forged, as it is a simple excel sheet. Therefore, I crosschecked the data included on the excel sheet with Doyen’s ERPAs published on Footballleaks, which confirmed the likely veracity of the information provided in the map of deals. This is where the EU State aid rules might also come into play to protect the public purse. See R. Craven, ‘Football and State aid: too important to fail?’, International Sports Law Journal (2014) 14:205–217 and B. 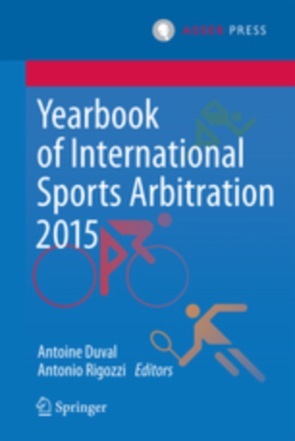 Van Rompuy & O. van Maren, ‘EU Control of State Aid to Professional Sport: Why Now?’, Forthcoming in: A. Duval & B. Van Rompuy (eds.) The Legacy of Bosman. 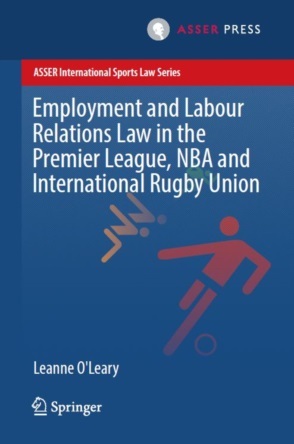 Revisiting the relationship between EU law and sport (T.M.C. Asser Press, 2016). See for example: ERPA Guilavogui, para.7 ; ERPA Ola John, para.10.6 ; ERPA Luis Martins, para 14.2 ; or ERPA Kondogbia, para.7. Numerous investment firms and agents/intermediaries relied on a similar business model. Footballleaks has released fewer documents as far as they are concerned, but see for examples: Gestifute; Gol Football Luxembourg S.A.R.L; Representaciones Internacionales Vijai SA; Quality Football Ireland Limited; Leiston Holding limited. The “opacity” of the transfer system was recently flagged by an excellent Harvard study: M. Andrews and P. Harrington, ‘Off Pitch: Football’s financial integrity weaknesses, and how to strengthen them’, CID Working Paper No. 311 January 2016. Andrews and Harrington (at p.99) believed before footballleaks’ releases “that the lack of knowledge about TPO affords it room to hide and that a general ban will force more ‘hiding’, which will limit opportunities to gather information about the practice and effectively regulate it in future.” Yet, I think FIFA would had a very hard time to create the transparent register they dream of, compliance with a duty to disclose would be extremely difficult to police and the case-by-case assessment of an incredible number of contractual arrangements would be needed. With the full ban FIFA reduces the administrative burden and partially externalizes enforcement to whistle-blowers (as footballleaks) and the press. Unpacking Doyen’s TPO Deals: TPO and Spanish football, friends with(out) benefits? Good read, thanks for the coverage on Doyen. I'm just wondering if they (or other compnies) are still active in player investment at all since the TPO ban? e.g. are they attempting to make similar deals but restructuring contracts so that they comply with FIFA rules? "(Getafe, Gijón, Sevilla or Valencia), which were unlikely (or at best uncertain) of ever participating in the Champions League."